Get your training to become a Nursing Assistant! Start your healthcare career path at Adonis College of Nursing. We conduct three class sections for our NA program. Click here for detailed information on our available sections for Healthcare Training in Dolton, Illinois. At Adonis College of Nursing, we train students to excel as nursing assistants through our intensive four-week or ten – week program. A nursing assistant’s (NA) job puts you on the front lines of patient care. Nursing is vital to daily operations in hospitals and nursing care facilities. Nursing assistants, sometimes called nurses’ aides, orderlies, patient care technicians, and home health aides, work under the supervision of a nurse to help patients with daily living tasks. According to the Bureau of Labor Statistics Occupational Outlook Handbook, employment of nursing aides, orderlies, and attendants (NAs) is expected to grow by 20 percent from 2010 to 2020, faster than the average for all occupations. 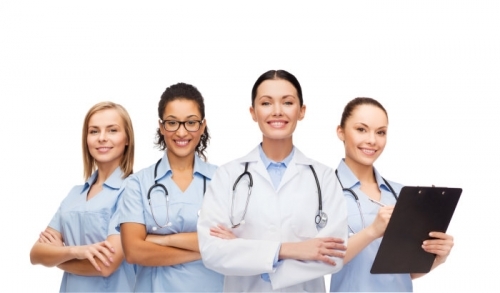 NAs or Nursing Assistants play a vital role in the field of health care. They work directly with the physicians, Practical Nurses or the Registered Nurses. NAs are also referred to as direct care staff members, orderlies, care partner, nurse aides, patient care technicians and patient care assistants. The main role of a NA is to assist with the patient’s daily activities and monitor their routine care. In certain facilities, NAs are allowed to perform direct care procedures, such as checking for vital signs, repositioning and turning of patients, finger stick blood sugar testing, grooming, dressing, feeding, and so on. Programs offered by Adonis College of Nursing will lead to an effortless entry into the healthcare field. NAs are important members of a healthcare team and they work closely with patients on a daily basis to offer important care and assisting doctors and nurses with medical procedures. Nursing assistant programs provided by Adonis College of Nursing are accredited by Illinois Department of Public Health and they prepare you to become a qualified nursing assistant to work in various settings, including hospitals, medical offices, rehabilitation centers, assisted living facilities and home health care. You can request for more information or contact us at +1-888-308-3892.